This pendant is very stylish and artful. 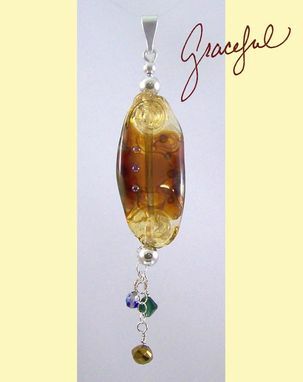 The focal piece is a sculptural glass bead which I made. It is a combination of silvered glass and transparent pale amber. 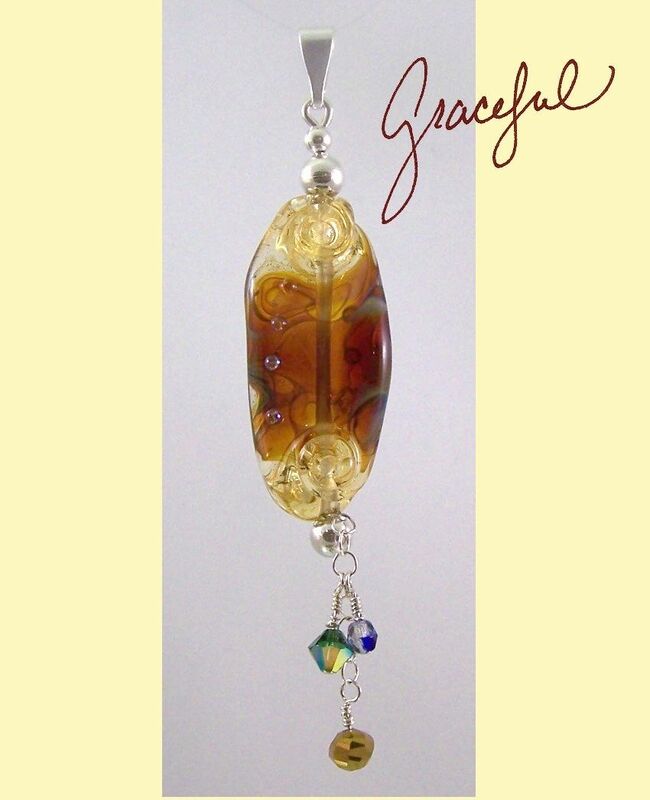 The center is a darker amber with ethereal swirls of silvered glass with greens and violets. Each end is pale amber which was swirled after it was flattened to give it an organic sculptural look. 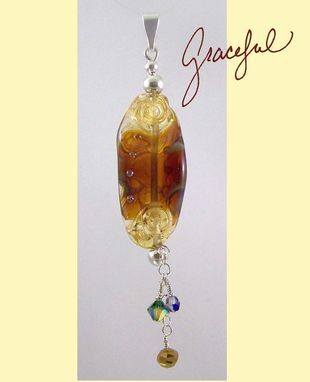 A "BeadHopper" was used to create the pendant and I added some crystals of complimentary colors to dangle at the end. The BeadHopper is a great new system for bead the artist to display and wear special lampwork creations. All pieces are silver plated and I recommend that you keep your pendant in a zip lock bag, however they are easily cleaned with a silver polishing cloth. Simply unscrew the bottom silver bead and all the components slide off. As Corina says, "Change your mind, change your bead!" This pendant measures 4"/10 cm from top to bottom of the dangles. The focal bead measures 3/4"/2 cm at its widest point.